We’re just a month into 2019 and already three of our chapters have inducted new members. We’re happy to celebrate them and welcome our newest members into the Society! 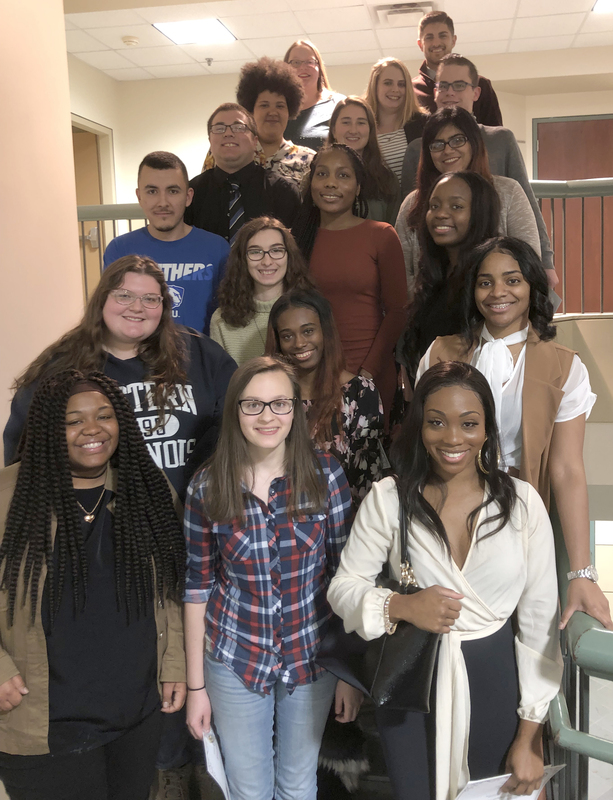 Nineteen journalists from News Watch, The Daily Eastern News, the Warbler yearbook and HitMix 88.9 FM were inducted into the Eastern Illinois University chapter of the Society for Collegiate Journalists Wednesday, Jan. 16. Speakers included their advisers, Lola Burnham, Kelly Goodwin, Brian Poulter and Sally Renaud, all of whom are also SCJ members. The ceremony was conducted by SCJ chapter President Jaynell Perera, with members Analicia Haynes, Vince Lovergine, Tom O’Connor and Carole Hodorowicz assisting. The new inductees, including three who will be inducted in two weeks, were: Phillip Collins, Nathan Cortez, Kayla Davis, Danielle Dellorto, Katelyn Eddington, Carmen Emanuel, Blake Faith, Doniquea Luter, Callie Luttman, Dara McGee, Karena Ozier, Andrew Paisley, Shameia Perkins, Logan Raschke, Kate Rehwinkel, Emma Roark, Lydia Shaw, Hannah Shillo, Jakira Smith, Bailey Taylor and Austin VanPelt and Valentina Vargas. 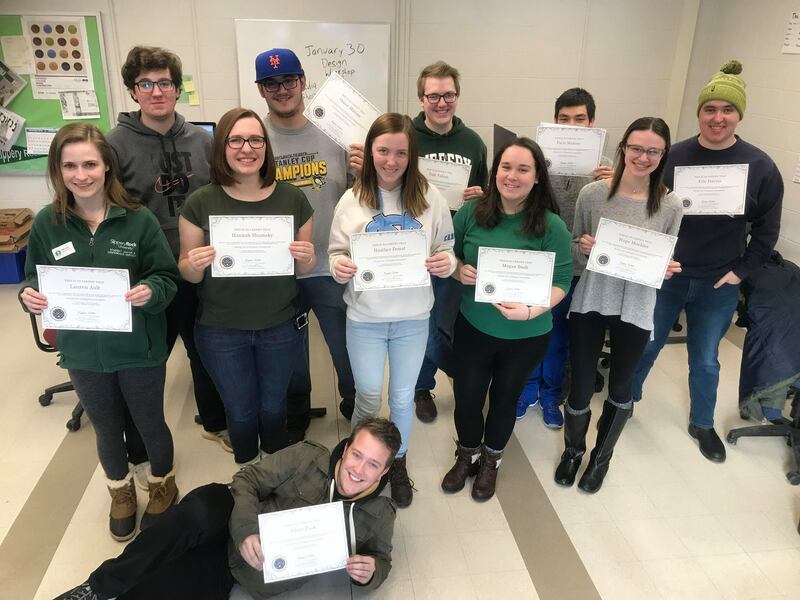 Twelve journalists from The Rocket staff were inducted into Slippery Rock University’s SCJ chatper on Monday, January 21. The induction ceremony was conducted by SCJ delegates Eric Davies and Adam Zook, and The Rocket’s adviser Dr. Brittany Fleming. New members included: Sarah Allen, Lauren Ault, Megan Bush, Steve Cukovich, Heather Donat, Tom Fabian, Hope Hoehler, Jack Hope, Paris Malone, Oscar Matous, and Hannah Shumsky. 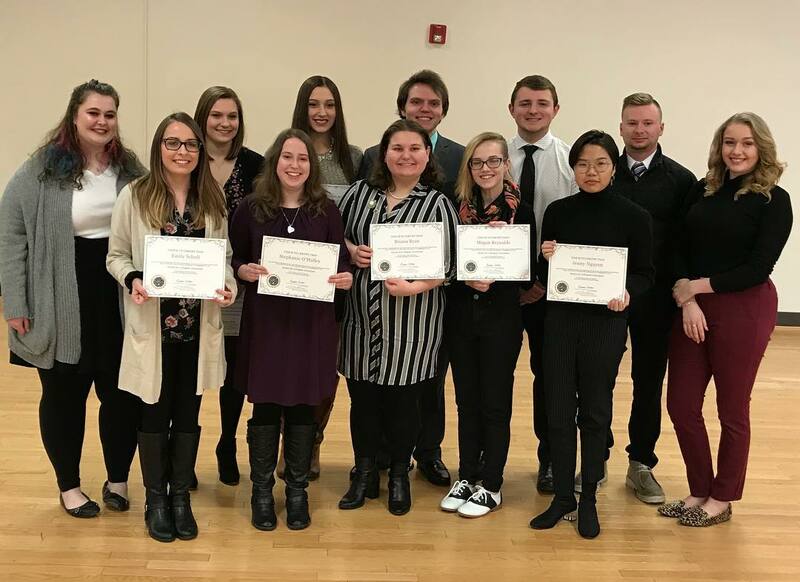 Eleven journalists from The Wood Word and TV-Marywood News were inducted into the Marywood University chapter on Friday, January 25. Chapter President Hannah Weaver and chapter Vice President Nicolo Manzo conducted the ceremony, which included a keynote address from Times Leader reporter, Marywood alum and SCJ member Patrick Kernan (’16). Newly inducted members included: Autumn Bohner, Ashlynn Gallagher, Justin Kucharski, Brendan Murphy, Jenny Nguyen, Stephanie O’Malley, Megan Reynolds, Briana Ryan, Emily Scholl, Tatiana Tell, and Katie Warnokowski. Don’t forget! Please send along photos of your awards ceremonies so we can share your good news with the rest of our SCJ family. Email pictures and information to scjnationaloffice@gmail.com. 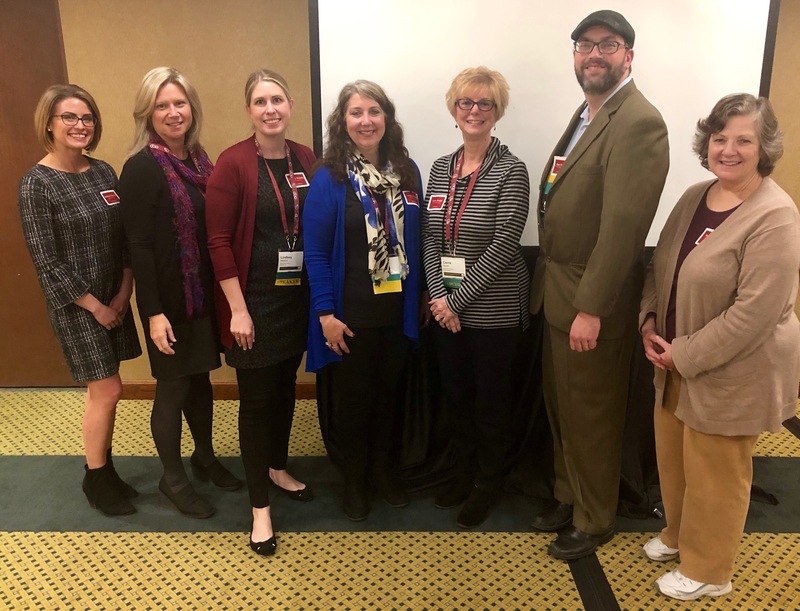 One of the points of feedback that was received during the 2018 Biennium was including more tips to improve the quality of member’s content. This month the focus is planning out the writing of a story. The critical part to think about when structuring a story is not to fall into the trap of writing in the academic style. Most of the time, this style of writing is bullet-point driven as the structure we use to organize our thoughts is the traditional outline. An outline is great for writing an essay as it forces the author to explain to the reader what they will be reading, go over the essential pieces of evidence that support the claims being raised in the essay and remind the reader what they have learned. 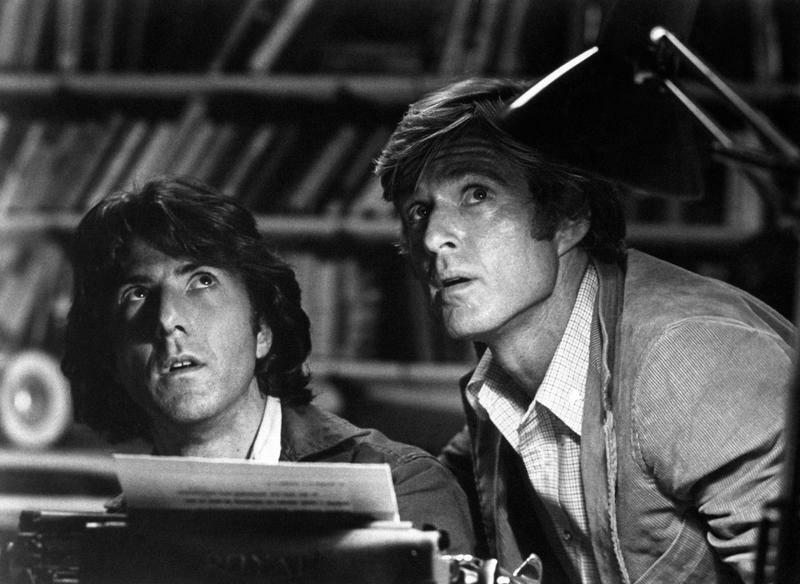 Journalistic writing is about flow. One mode of pre-writing that has worked well in the past is the idea of writing a progression or a progressive outline. The progression begins by forcing the writer to describe the most essential truth of their story using a simple, declarative sentence. If they are unable to do that step, the suggestion is to either do more research about the topic or perform some free writing exercises. The next step is to write below that first sentence, “Because I know this to be true, it means this….” and fill in the rest of the sentence. The writer will then write this prompt again under the sentence they just completed. Completing four to six of these supporting truths can help create a 600 to 1000 word article. It is not recommended to do this style of preparation for a feature as it tends to simplify the article. This is also not a replacement if you have a prewriting technique that works. Finally, it is okay if the progression changes when you receive more information. It is typically worth examining in more detail if an interview is giving you information that is different than your sequence. But we’re journalists; let’s focus on reality. In fact, heroes are all around us, but they don’t wear capes. More often than not, they do go armed, but not with starships, invisible planes or laser guns. The battlement for the heroes to whom I refer here usually consists of cameras, field recorders, laptops, and…most important, tenacity and courage. Clearly, I’m referring to the guardians of truth on our campuses—student journalists. This has been a banner year for attempts to censor student journalists across the nation. Efforts to shut down high school presses can be found in censorship, prior review, and threats to the advisor at Har-Ber High School in Springdale, Arkansas, and prior restraint at Plainfield High School in Indiana. But challenges don’t stop at the secondary school levels, as is evident at the University of North Alabama’s censorship-through- firing at the Flor-Ala student newspaper, or hundreds of stolen newspapers at Colgate University. These examples are just the tip of the iceberg and reveal consistent efforts to silence pesky student journalists seeking the truth. In fact, these are some of the cases that have made headlines. Many don’t. I worry about those we don’t hear from, those who are trying to pursue truth, but are for myriad reasons bullied to silence. Time Magazine announced its annual Person-of-the-Year pick this week, choosing journalists who serve as the “guardians” of truth in the face of historic efforts to quell it by despotic world leaders. Karl Vick’s cover story highlights journalist Jamal Kashoggi’s murder apparently by the order of the Saudi crown, two Reuters journalists jailed in Myanmar for “illegally” reporting on the murder of ten Muslim men, and the remaining staff of reporters and editors at Capital Gazette, who resolutely “put out the damned paper” following the slaughter of their co-workers. These are just a few of the powerful narratives Time offers of journalists who have stood up, even at grave risk to their own lives or freedom, to deliver the truth to their communities. In keeping with those amazing guardians highlighted by Vick’s powerful essay, it is important to recognize those student journalists who are standing up and putting out the news, even when doing so is costly. They know that by doing so, they offer their campuses access to what’s relevant and vital to their day-to-day experience. Without an unfettered press, community members run the risk of purposefully limited versions of reality designed and molded by those who seek to benefit from less light shed on the subject. They are indeed heroes—the real kind. But it is equally important that we champion a free press for all students, even those who aren’t making headlines by metaphorically holding their ground against the rolling the tanks. 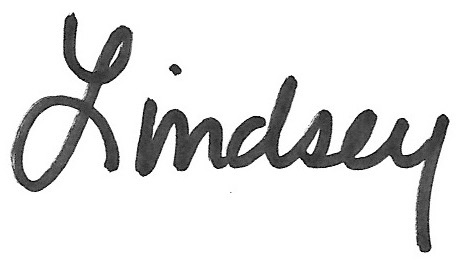 The fight is hard and seemingly all around us right now, so as a national honor society for student media leaders, we have a responsibility to share our stories, listen to each other, offer support. That is, of course, how Marvel built its universe, by bringing the likes of Iron Man, Wolverine, and Spiderman together, recognizing there is strength in numbers and shared purpose. We have initiatives aimed at building just such a coalition of strength among the nation’s student press corps. 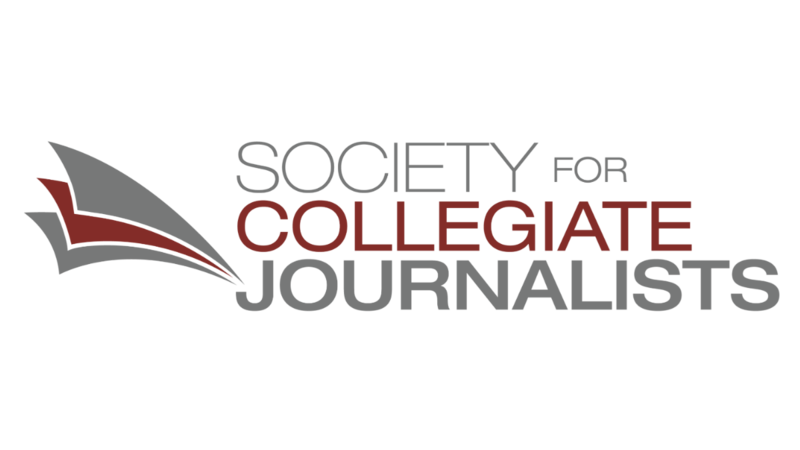 The Society for Collegiate Journalists’ mission says, in part, “SCJ focuses on pre-professional development at the collegiate level. SCJ aims to advance ethical, innovative collegiate journalism nationally and to create a strong network of advocates for First Amendment education.” To that end, SCJ encourages chapters to plan and host an event on campus designed to raise awareness and educate about the First Amendment and journalism, and even offers a small grant to help support that effort. It’s my hope that in 2019 all of our chapters share stories of the heroes in your newsrooms, students who are on the front lines championing truth and also working to educate others about the importance of journalism. If you send us your stories of #JournalismHeroes, we’ll share them on the website and tweet them out. Thank you all for your hard work and dedication to truth. I can hardly wait to see what our chapters do in 2019. The Robert Morris University chapter inducted 18 new members yesterday, October 2, at its annual SCJ induction ceremony. COMM department chair Dr. Anthony Moretti offered remarks at the ceremony attended by students, faculty, family, and friends. 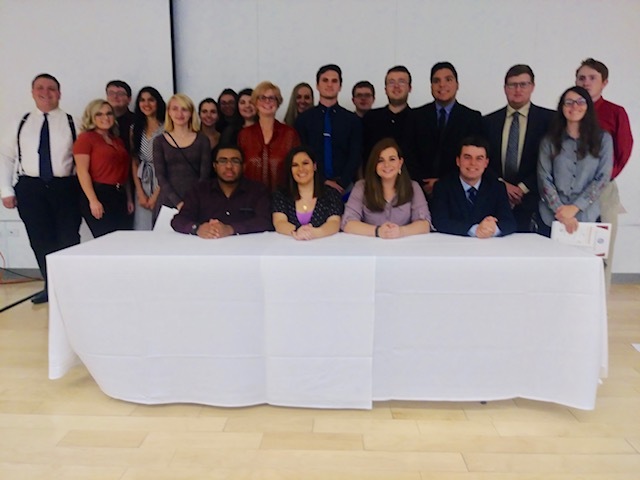 Sixteen of the 18 new inductees, plus SCJ chapter adviser Carrie Moniot, stand behind the chapter’s four officers, seated L-R: Secretary Malyk Johnson, VP Morgan Torchia, Treasurer Tori Flick and President Sam Anthony. Guest speakers included former Pittsburgh Post Gazette political cartoonist Rob Rogers (via Skype); free speech activist Joan Bauer; former Pittsburgh City Paper Editor Charlie Deitch; and Napier University (Edinburgh) literature professor Alistair McCleery. Kudos to our RMU chapter on its induction ceremony and 1A event. And a hearty welcome to the 18 newly inducted members of our SCJ family! 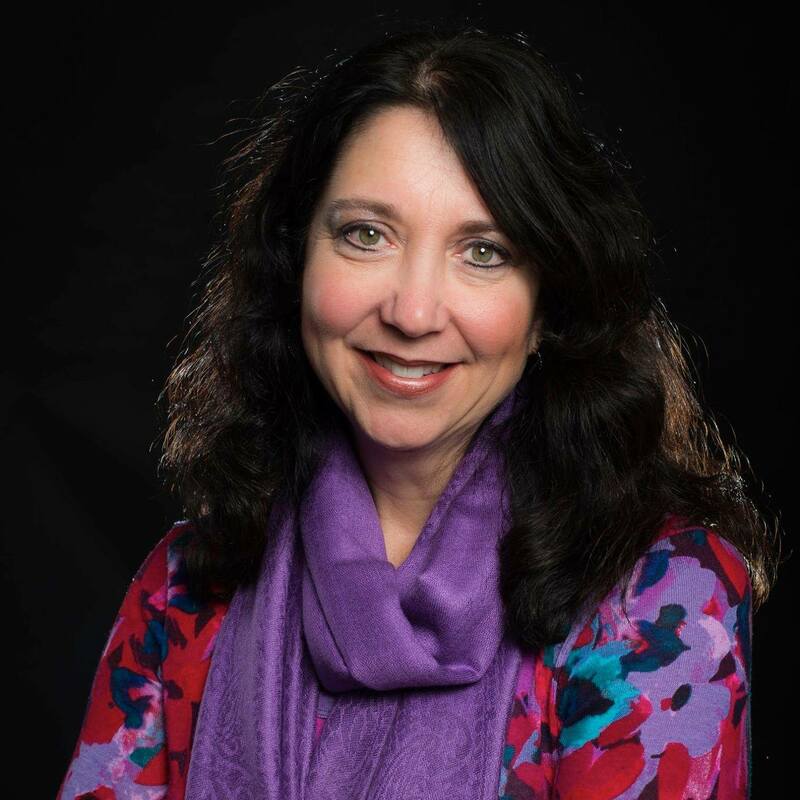 The National Council of the Society for Collegiate Journalists, led by President Andrea Frantz, Ph.D., is glad to join the Boston Globe and the hundreds of other news organizations issuing a reminder today about the value of a free press in America. How did we go from widely recognizing journalist Walter Cronkite as “the most trusted man in America” in 1967, to vilifying the entire field of journalism as “the enemy of the people” in 2017? To fully answer that question would require a deep, book-length dive into cultural, political, economic, and technological change in the United States over those 50 years. But the short answer to the question is that we didn’t. President Donald Trump did. So perhaps the better question, at least for this editorial, is not how did we get here, but why? Journalists have long served as essential to the checks and balances necessary for American democracy. Where would we be without those who tirelessly ask questions of process and policy, and who all-too frequently put themselves in harm’s way in order for Americans to see and hear historic moments that inevitably impact our daily lives? Put another way, without journalists, could we trust elected officials to provide us with the unvarnished truth behind their motivations and votes? James Madison knew the answer to that last question was an unequivocal, ‘no,’ which is why, when he penned the First Amendment, the press became the only profession named in the Bill of Rights. The Founding Fathers all recognized that without a free press, democracy would fail. But with that stroke of a pen, journalists simultaneously donned a mantel of responsibility that would not always make it popular with the people, and most assuredly not with politicians. As watchdog, the American press has a duty to ferret out truth, even when truth is ugly. And when truth is ugly—as it so often has been in our history—elected officials naturally fear for their own job security, and in some cases, legacy. As evidence of this fraught relationship, we need only look at Thomas Jefferson’s shift from champion of a free press to detractor after his presidential campaign produced less than flattering reports. “The man who reads nothing at all is better educated than the man who reads nothing but newspapers,” he famously opined. So, yes. The love-hate relationship between press and politics is real. When press does not play the role of public relations promoter—indeed, as it never should—those who want only the rose-colored view of reality will be uncomfortable. And with discomfort comes occasional anger. We get it. And we can take it. But even President Richard Nixon, whose corrupt administration was ousted by investigative journalism, recognized journalists for their contributions to American democracy. Of the 29 journalists to receive the nation’s highest honor for civil service, the Presidential Medal of Freedom, ten of them were awarded by Nixon. The award recognizes, “meritorious contribution to (1) the security or national interests of the United States, or (2) world peace, or (3) cultural or other significant public or private endeavors.” And one would be hard-pressed to find a stronger statement of the level of public service journalists give to the United States than the Journalists Memorial wall at the Newseum that commemorates over 2,000 journalists who lost their lives reporting the news. Hm. ‘Enemy of the people,’ you say? President Trump’s name-calling and Twitter-rants may well have successfully coined the term “fake news,” but the fact is, students don’t seem to be buying his vilification of the media campaign. According to an article by Adam Harris in The Atlantic earlier this month, students across the nation are indicating a renewed interest in journalism. Top j-schools such as Columbia, USC Annenberg, and Northwestern, among others, are seeing a hopeful uptick in applications. Additionally, though administrators have actively sought to censor some, we’re also seeing high school student journalists taking important steps to report on critical (read: uncomfortable) social and political issues. And student journalists aren’t taking the censorship attempts lying down. After students pushed back and public scrutiny escalated, a Texas high school principal reversed his prior review rule for Prosper High School’s newspaper, Eagle Nation Online earlier this month. In another example, according to a recent Student Press Law Center article, Grace Marion, a 2018 graduate of Neshaminy High School in Pennsylvania, even went so far as to boycott her own graduation ceremony in protest over administrative censorship of school’s newspaper, The Playwickian, while she was editor-in-chief. There are countless examples of this sort of leadership among those who will be the future of this nation’s press, despite the barrage of insults emanating from the White House. Such perseverance is setting an example for all of us. Student journalists should double down in their efforts to make a difference in their communities with hard-hitting, ethical, watchdog journalism. The Society of Collegiate Journalists tips its hat to the pros and soon-to-be-pros for tenacity and important contributions to a stronger democracy. As Walter Cronkite once said, “Journalism is what we need to make democracy work.” Journalists are, in fact, champions—not enemies—of the people. 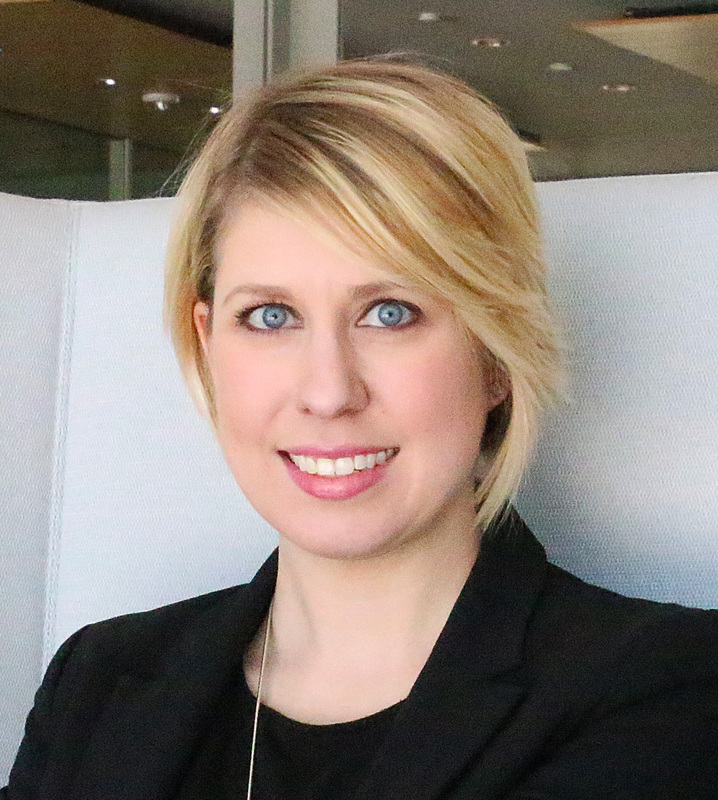 Andrea Frantz, Ph.D., is professor of digital media at Buena Vista University, Iowa. Frantz is President of the Society for Collegiate Journalists and a passionate advocate of the First Amendment. SCJ stands in solidarity with the Radio Television Digital News Association (RTDNA) in its call for all news outlets to take an editorial stance against the systematic vilification of the American press. The nation’s student press plays an essential role in educating communities, and especially young readers and viewers, about the role journalists play in American democracy. SCJ encourages all student press outlets to consider offering social media messages and editorial statements that deepen their respective communities’ understanding of the First Amendment and importance of a free press. For more on this campaign, please see the RTDNA call. Tag us in any social media posts or editorial statements your media organizations or chapters make using the hashtags #SCJsupports1A and #PressBack. We are pleased to release the results for the 2018 Society for Collegiate Journalists’ National Contest. This year, our judges made 150 awards plus many honorable mentions. Congratulations to all our chapters and SCJ members! Keep up the award-winning work! 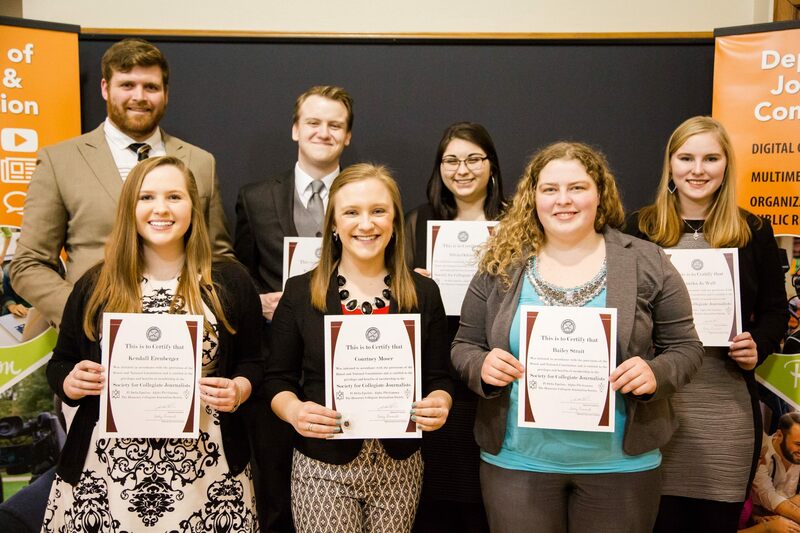 Congratulations to our Wartburg College chapter on its induction of nine new members. Members were inducted on April 12 at the Department Spring Banquet.